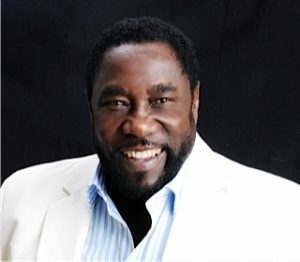 Eddie Levert is a founding member of the pioneering 1970s Soul/R&B group and 2005 Rock and Roll Hall of Fame inductee, The O’Jays. The O’Jays formed in 1958 out of Canton, Ohio. The group, which jumpstarted their career with the 1963 chart-topping smash hit “Lonely Drifter,” made their debut into the music business with the group project “Coming Through”. Over the course of several decades, The O’Jays have celebrated R&B success with 6 top ten singles and a multitude of enduring and soulful gems. Eddie’s vocals have earned The O’Jays many top-selling hits such as “Backstabbers”, “I Love Music”, “Family Reunion”, “Stairway to Heaven”, “For the Love of Money” and the #1 single “Love Train”. In 2009, Eddie Levert and The O’Jays were honored with a BET Lifetime Achievement Award. Levert’s projects also include two musical collaborations with his late son, Gerald of the hit R&B group LeVert. “Father and Son” was the first full-length collaboration between the two singers followed by the posthumous release of “Something To Talk About”. The final collaboration from Eddie and Gerald Levert is the book, I Got Your Back, which offers an intimate glimpse into their lives, their passions, and their musical legacy. But most important, I Got Your Back gets inside the special and rare father-son bond that these two R&B legends shared. Eddie and Gerald put their hearts and souls on the line and talk about their failures, concerns, fears, and triumphs as father and son. Today, almost 50 years later, Eddie continues to perform with The O’Jays entertaining enthusiastic audiences around the world. Eddie is also pursuing solo projects including the show he titled “Timeless Voices” which is a collaboration of fellow vocalists whom Eddie feels made significant impact on R&B and Popular Music as well as having the experience and talent to pay tribute to some of the great singers and songs of the past. Other Eddie Levert releases include Carlito’s Way, Patti Labelle‘s Live! One Night Only, LeVert‘s Bloodline, Down in the Delta and Have a Merry Chess Christmas. And in 2003, Eddie starred in the movie The Fighting Temptations and performed the hit song “He Still Loves Me”.